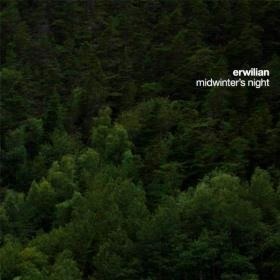 Erwilian is a band that embraces acoustic sound at its finest. 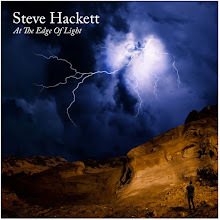 A blend of Celtic, renaissance, fantasy folk, bluegrass and more, every instrument resounds with a natural symmetry. Midwinter’s Night is the band’s first ever re-issue with remastered, non-continuous sequencing. The Seattle based group is comprised of Bill Bowser (Guitar, Violin), Jordan Buetow (Recorders, Hammered Dulcimer), Brian Matheny (Sound Engineering), Bethel Melton (Hammered Dulcimer, Soprano Recorder), Scott Melton (Guitars, Mountain Dulcimer), Robert Schuweiler (Mandola, Bouzouki, Tenor Guitar) and Jeff Reed (Percussion). The group was saddened this past autumn with the passing of Jeff Reed and the void left by his absence has been keenly felt by all who knew him. When I first began to play this album, I had never encountered Erwilian before. In a few seconds I was hooked for life. The magic these artists weave is a solid one, bound by years of working together and a harmony of sound and spirit you don’t often find. It was like being at a Ren Fest while I was sitting in my writing room, minus the giant turkey leg in hand and mud on my shoes. Much better. The album opens up the “In Convivio” complete with the audience applauding in the background. The music spiraled up and out like a smooth bite of seasonal mead going down the hatch. Ah but it made my heart happy. Perfect for the season, the very familiar holiday tune came through, along with the joy of the musicians playing it. I was in love. Midway through the play list is “Wandering.” The recorder lilts out a solitary melody that invites introspection and solitary contemplation. It fit my mood on this gray and gloomy November afternoon as time just stopped and I was thankful for good company, a warm puppy snuggling at my side and the blessing of this wonderful music in my ears. Simple, but profound, other instrumentation seamlessly wanders in and takes what is there and expands it. Guitar, percussion and more. It is beauty personified and it made me want to weep. About half way through the piece, it livens up and I thought immediately of the Hobbit and the wandering voyage of our lives. We are all of us wanderers and some of us blessed with companions that love us and little things like this music to brighten the path we go by. “Gigues” is the final piece on the album, a medley of five familiar holiday tunes. The multi-instrumentation of this piece brought me back to memories of watching A Christmas Carol when I was young. Then it spun up and became a jolly romp of festive dance music. A ball of brightly colored gowns and gallant gentlemen escorting the ladies as they bowed and curtsied, making their way through the paces. Joy. Pure and simple. Erwilian is a band I will now follow like a fan girl. Their unique blend of acoustic instrumentation is bold and lively and brings out all the best from New Age to bluegrass and folk. The remastered album is a seamless live effort without too much in the way of clapping that can be annoying, at least to me. This was perfect. All the music, moderate applause…full on enjoyment. This is an album that you will love all year round but especially now as the holiday season comes upon us and we draw close to those we love best. In closing, a heartfelt thought to the band members and family of Jeff Reed. Some lights never dim even with the passing of time.